I mentioned on Wednesday, I have some catching up to do with you. This post will have a lot of Instagram pictures, so I apologize in advance for the quality. Now, lets move on to KCW fall which was the week before Halloween. It was actually a very productive Kids Clothes Week for me. 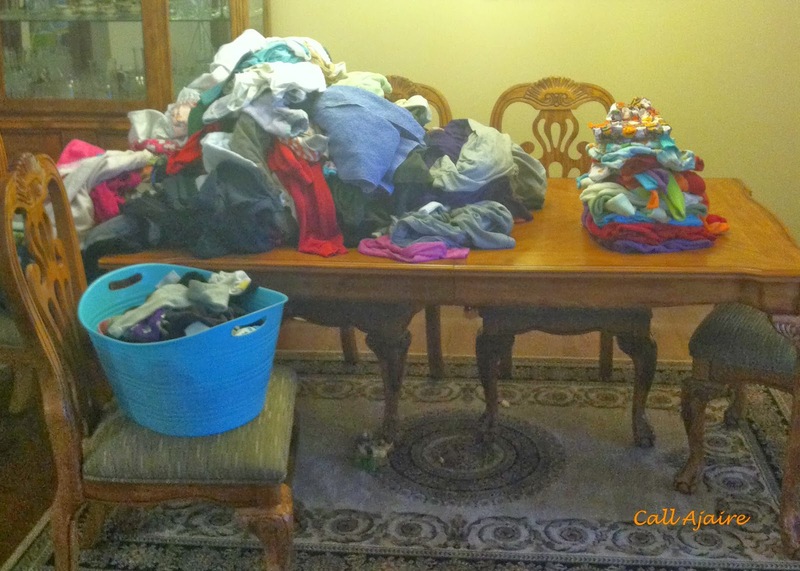 I finished a lot of garments, but didn’t get much housework done – as evidenced by the picture below, hehe. These are my KCW piles. The one on the right is all the things I was able to sew, and the one on the left is a hideous pile of laundry that needs to be folded and put away. Including that tub of mismatched socks, hehe. Anyway, back to the fun part! I made three more bubble skirts like the one I made for Bean’s Halloween costume for the girls we were visiting in Michigan. I still can’t get over how cozy these microfleece skirts are. 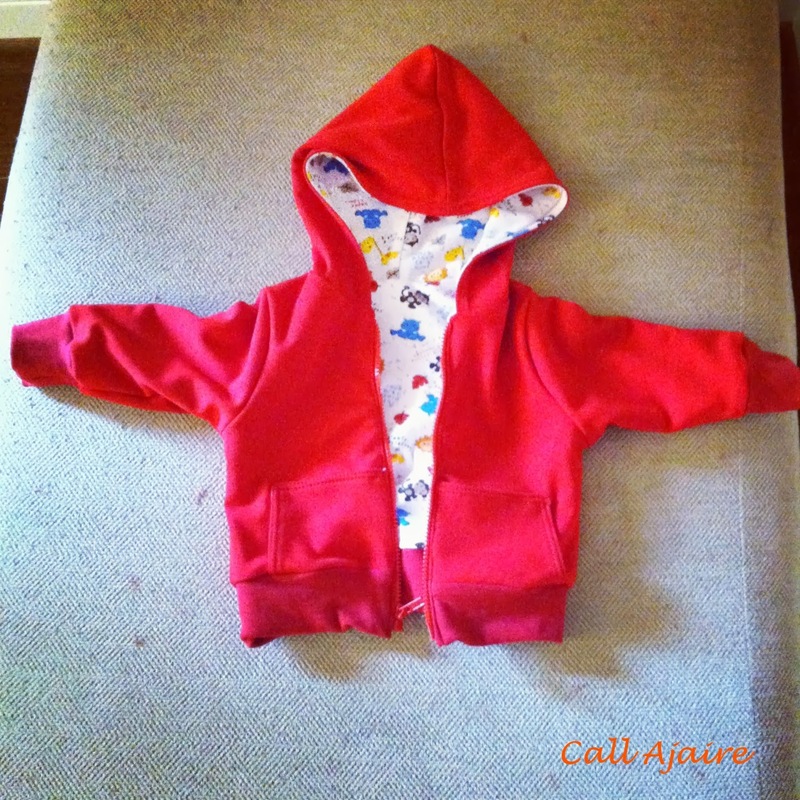 Besides the Rainbow Bimaa and the bubble skirts, I also made Reversible Zippy Hoodie for the little boy in Michigan. 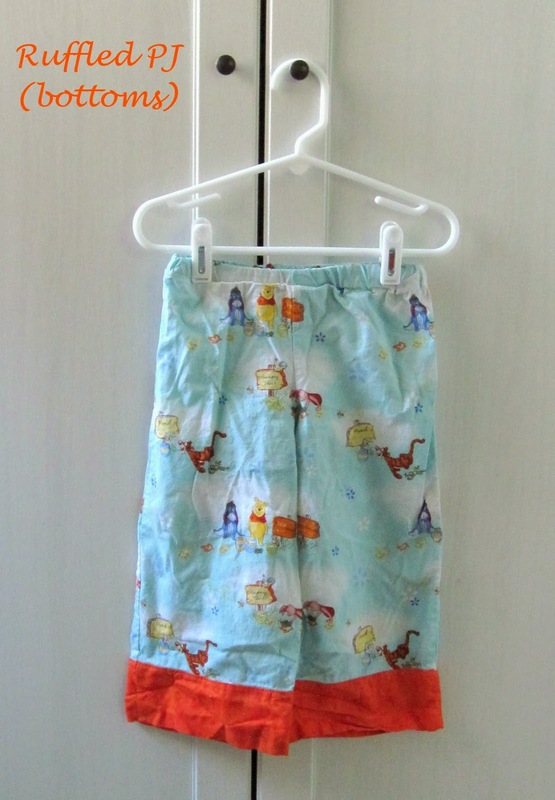 It’s size 18M/2T with the 18M length. This is a Kitschycoo pattern and it lived up to all the hype. It’s truly reversible (except I didn’t have a reversible zipper on hand) and the construction is really smart. I have another one in the works for Bean already. Since the seasons have changed, I realized that Bean didn’t have many winter pajamas so I mainly focused on those staples. 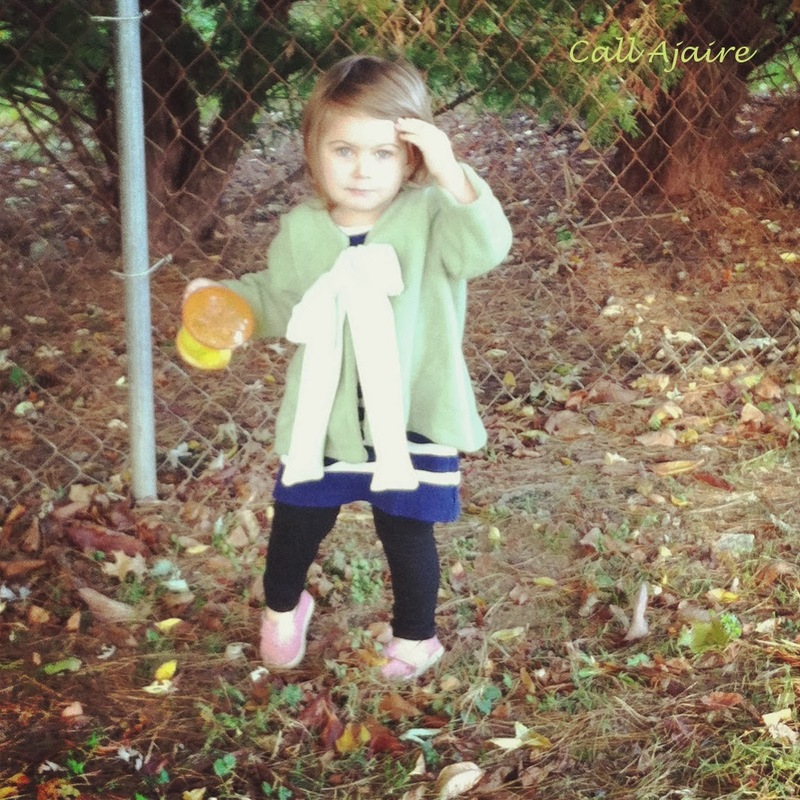 I have to tell you first how much I love the bottoms of the Ruffled PJs by Once Upon a Sewing Machine. Don’t get me wrong, I love the top too – it’s ADORABLE – but the bottoms are super quick to cut out and sew with really cute results. They work great for hanging around the house lounge pants too, so I made a few pair. 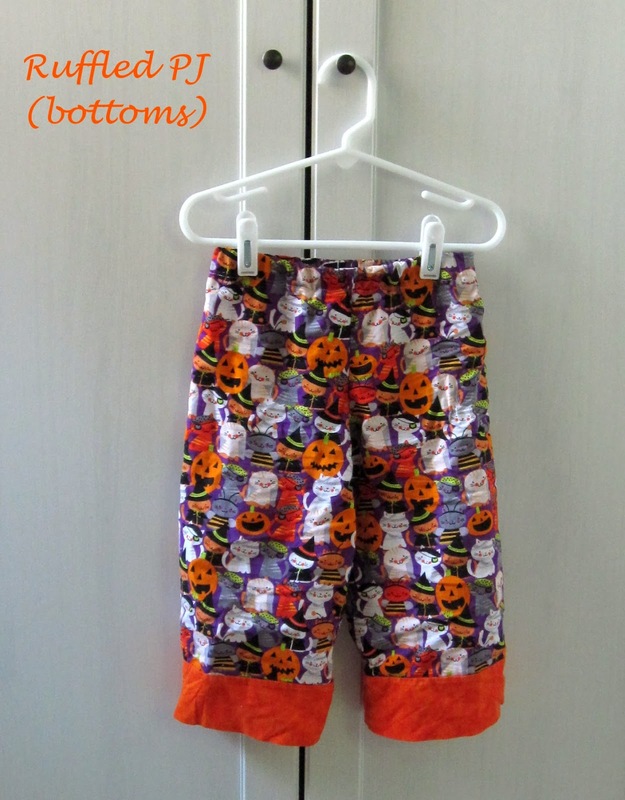 These are a great way to use a fun fabric that you know will get a smile from your little one. Bean saw these kitties in Halloween costumes at JoAnn Fabrics and just letting her hold the bolt of fabric kept her entertained for enough time for me to get everything else I needed to get that day. It was totally worth the money spent on a relatively small cut of fabric to see how excited she was to wear them when they were finished. sorry these are wrinkled – they’ve been well worn! 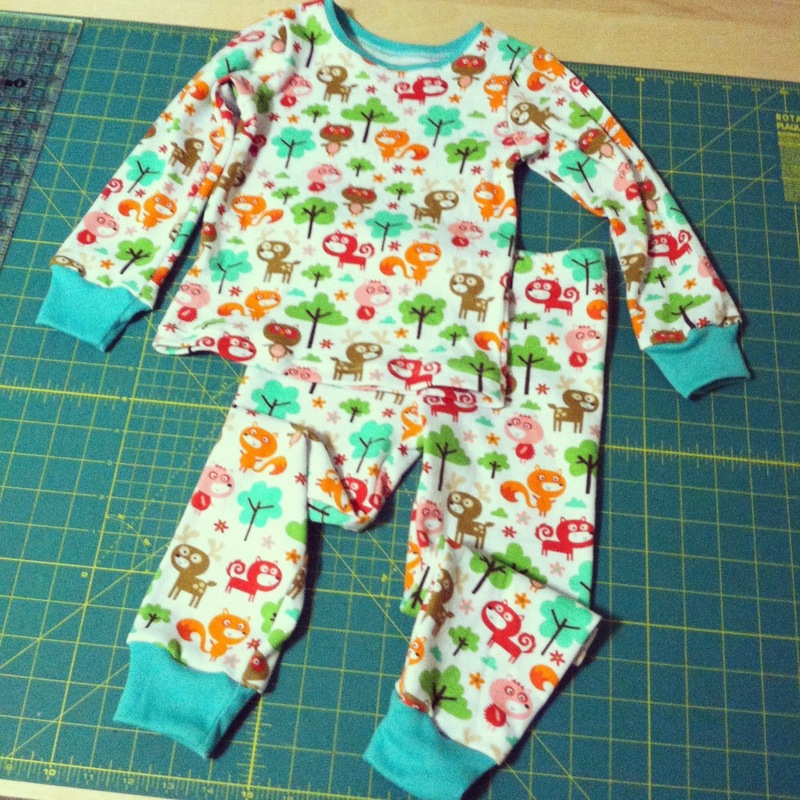 I’m not a huge fan of “character” fabric, but pjs are a fun way to use a special print. Bean has really been interested in Winnie the Pooh lately, due in part to the great set of first reader books her Nana gave her. We’ve been reading story after story about the Hundred Acre Wood and a couple of weeks ago I even showed her the new (ish) movie and she LOVED it. So to say she was excited about a pair of Pooh PJs is putting it mildly. And hey, if some fun prints means she’ll keep her pants on for more than two minutes in our house, then I mark that as a win. 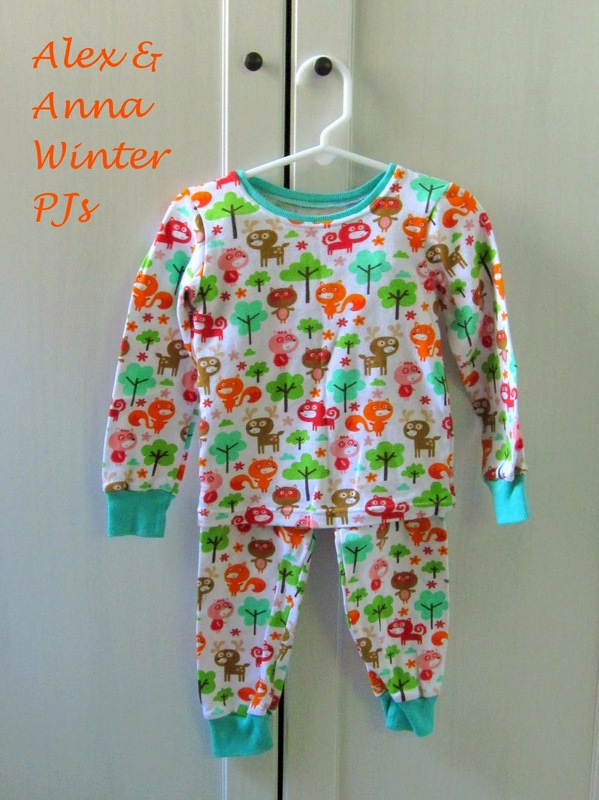 Next is the Alex and Anna Winter PJs (*affiliate link) from Peek A Boo Patterns. This was another bolt of fabric that she fell in love with. I fell in love with just how soft the fabric is. These come together really quickly and are just a perfect pajama pattern. I want a pair for myself. You know how some of the printed knits can be a little rough or not hold up after washing? This is a much better quality knit that has really held up so well. I want to snuggle them when they come out of the dryer. They are that cozy. I’m really happy JoAnn fabrics has started carrying some decent knit fabric. 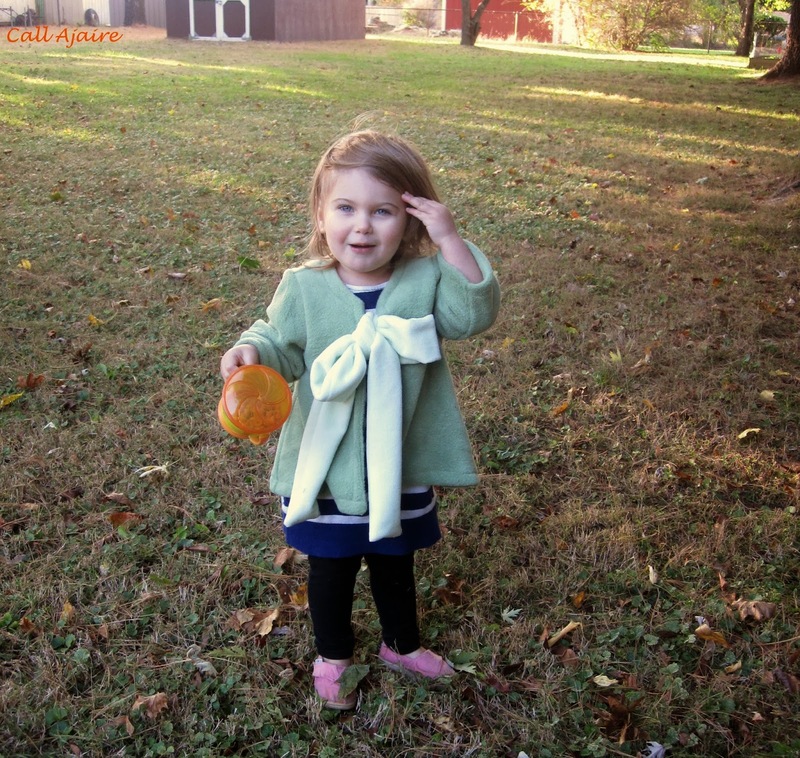 I also made a fun Zermatt Bow Swing Coat (*affiliate link) from See Kate Sew. It’s made from some leftover fleece from Bean’s Turtle Costume last year. The bow is made from a lighter green fleece of which I had just the exact amount needed. I love how it turned out. It’s a great between season layering piece. I made the arms slightly longer since it was already really chilly here when I finally started sewing it. Can we talk about Bean’s cowlick for a minute? She takes all of her bows/elastics out of her hair and then spends the rest of the day “saluting” me to hold her hair out of her face. I can already see the years ahead of me constantly asking “can I pull your hair back so it’s out of your face?” Luckily, when we’re out she keeps her clips in for the most part. It’s just around the house. Any tips?? 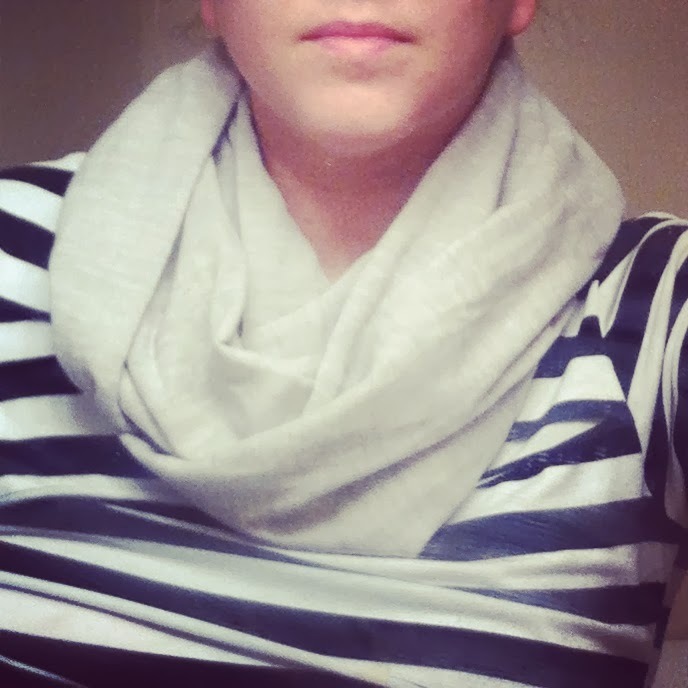 I also made myself a quick infinity scarf one night during KCW because the double gauze from Imagine Gnats’ shop was screaming to become one. It’s even softer the more I’ve washed it. And that’s for the most part what I’ve been working on in October. Now it’s on the holidays. Among other things, I’m excited about Shaffer Sisters’ Homemade Christmas series coming up. You can use the hashtag #christmashomemade to follow along. You were busy! I still haven't recapped most of my KCW sewing so you're ahead of me! 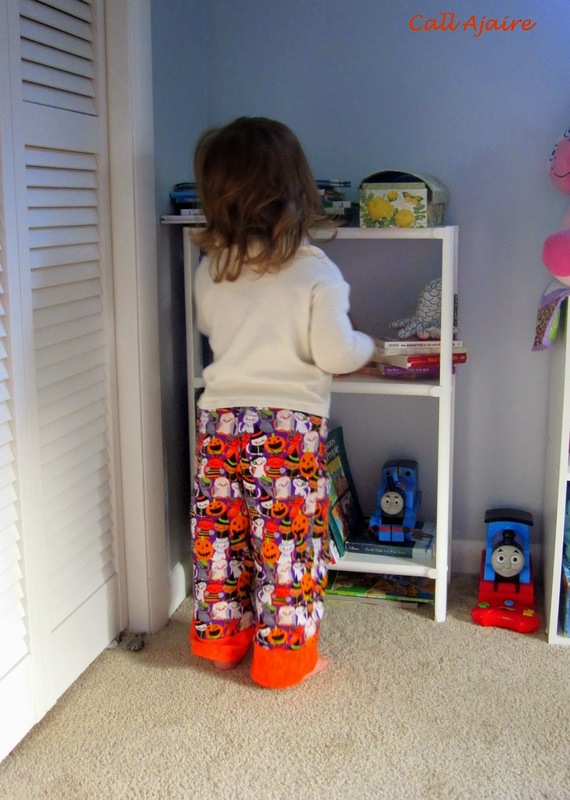 I love all her pj pants (I'm probably a bit partial) PJs are a great place to let them have some character prints. I haven't seen those knits at my Joanns but I will be keeping my eyes open, I have noticed their selection improving. Saluting you. Ha ha ha ha ha hah a.
I did a pattern rest during kcw and not much else- you're running circles around me!! 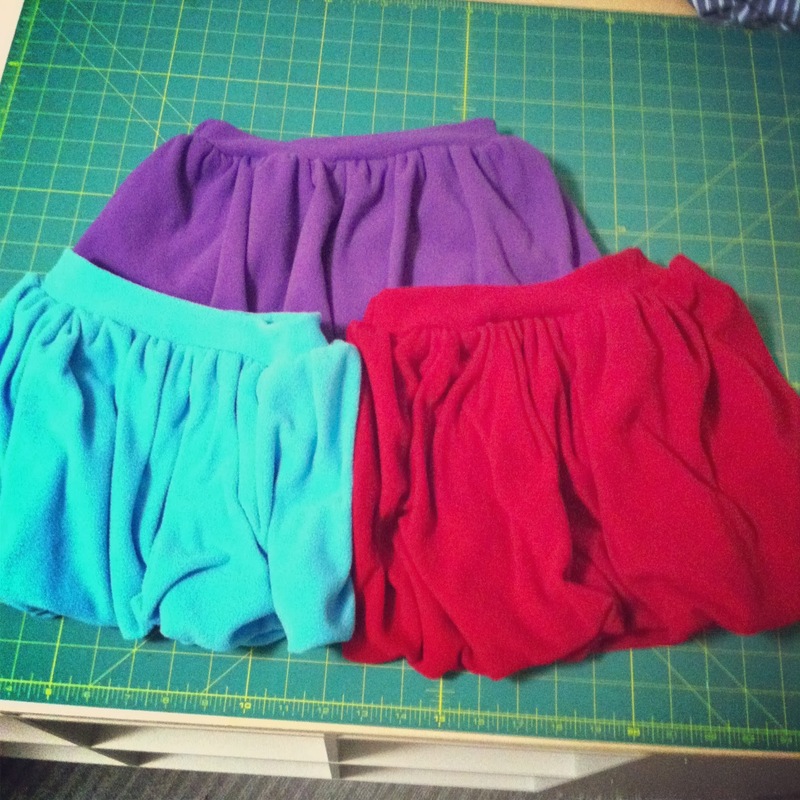 I love the ruffled pajama pants too; & the rest of your projects are all patterns I own and want to try!! I'm dying over the print of your winter pajamas. I'm working on woven pajamas, and using Christmas themed fabric. I can't think of very many things to do with character and holiday prints other than pajamas!